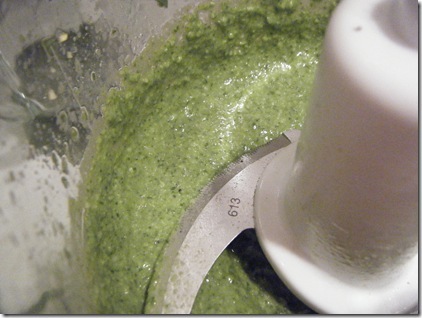 Toss it all into a food processor, give it a whirl, and you are ready to eat! 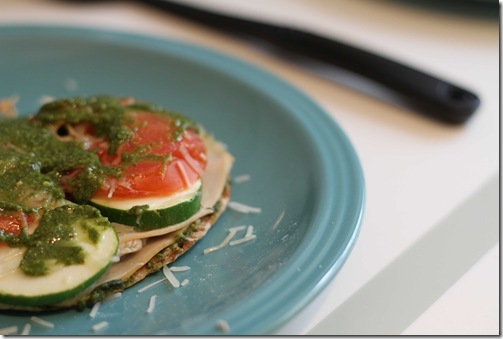 Serve over pasta or on a sandwich, as shown above (with turkey, grated parmesan, sliced zucchini and tomato)! Enjoy :) I love how green it is!